Everybody has a fingerprint, but no two are exactly the same. 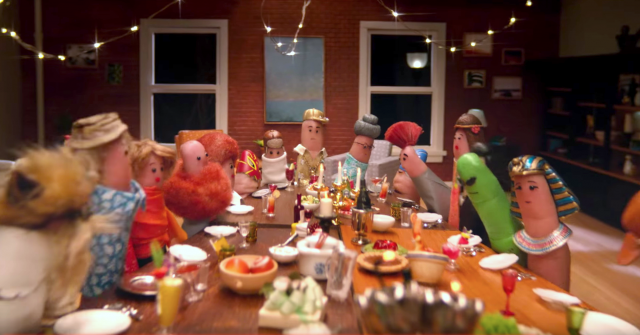 Google’s latest Android commercial tries drive this point home, showing casing a variety of fingerprint puppets in multiple personalities, colors, and sizes. The video is yet another in Android’s “Be together, not the same” series which is supposed to show consumers that when it comes to Android, not every device is the same — and that’s okay. In fact, it could be the platform’s greatest strength. Why finger puppets? Well, perhaps it had a little something to do with Google finally adding support for fingerprint sensors in Android Marshmallow, or just the uniqueness of the fingerprint in general, but either way the playful video is a fun way to get their point across. What do you guys think? Is Google hitting the mark when it comes to “Be together, not the same” ad campaign?